Democratic Senate candidate Andrea Zopp picked up a major endorsement Sunday. CHICAGO (WLS) -- Democratic Senate candidate Andrea Zopp picked up a major endorsement Sunday. 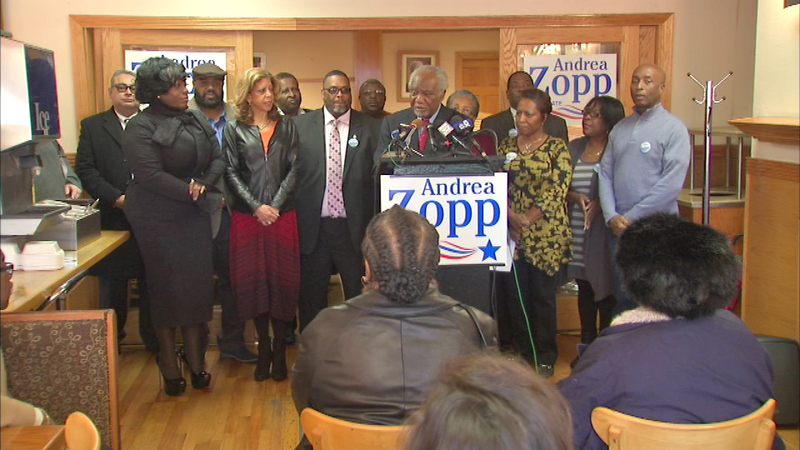 Congressman Danny Davis explained why Zopp is his top choice for the job. "I want somebody to represent me who has walked the walk that I have walked, who has talked the talk that I talk," Davis said. Davis backed Zopp over his colleague Congresswoman Tammy Duckworth. Zopp, the former president and CEO of the Urban League is running against Duckworth in the March 2016 primary.